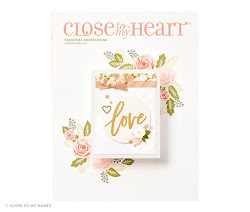 I had a couple of these darling boxes from CTMH lying around, but I didn't know what I wanted to do with them until I saw this on Jeanette's blog and these on Lisa's blog. I was inspired to make my own card storage. Now I need a couple more boxes for holiday and Thank you cards, oh and maybe a few more categories because they are so fun to make :) I'm painting my scrap room Sweet Leaf (the green in these papers), so I know these will look great on the shelves. Thinking of You cards--Emporium papers and Stickease. Birthday cards--Daydream papers, Cupcake Sprinkles stamps, Big Pinks flowers and white ric rac. The spines as they'll look on the shelf. These are so clean and fresh, great job. first, glad your son is ok - whew! scary when they hit their heads! The trip to the zoo looked like fun and love the pages and boxes!